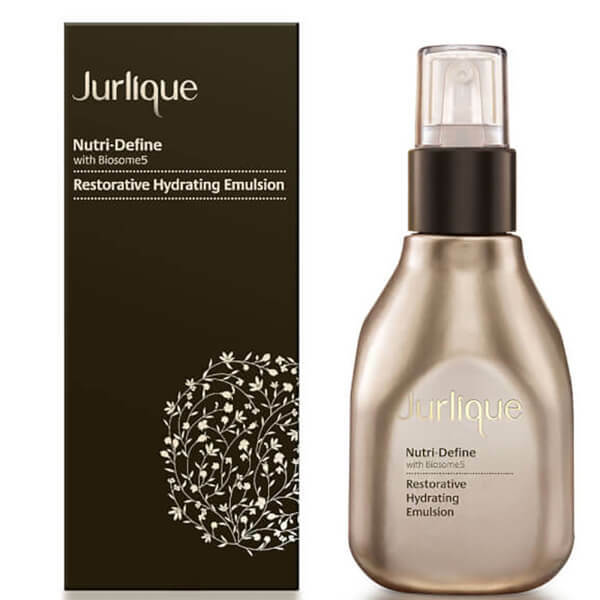 Achieve a hydrated, matte complexion with the Nutri-Define Hydrating Emulsion from Jurlique. The lightweight moisturiser is ideal for daily use, working to soften and restore skin, without leaving behind an oily residue. Infused with Biosome5 technology, the formula revitalises skin, resulting in a matte complexion and a more youthful looking appearance, perfect for those warmer days.